2. For orders under £75, the appropriate UK delivery charge will be added automatically, depending on the item size and weight and delivery service selected. Delivery can be to any UK address as long the address at which your payment card is registered is also present on your order. You will always be able to see this charge before submitting your order. If you are an UK offshore (including areas of Scotland for larger palletised shipments) please contact us before placing an order, as your delivery zone may incur a carriage surcharge. Surcharges may also apply for Installation Services. If you place an order prior to contacting us, we will notify you of any additional costs prior to processing your order. You will have the option of cancelling your order. 3. 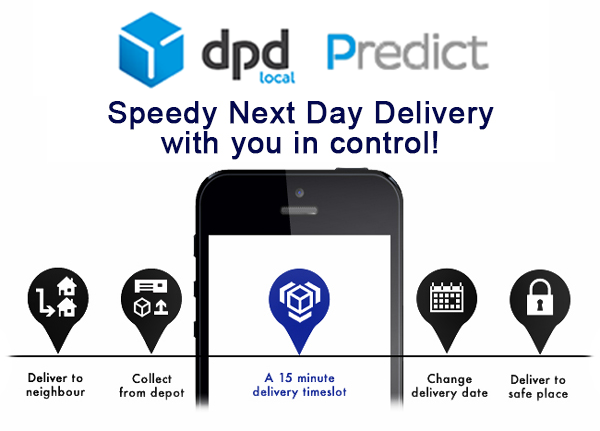 All delivery timescales are subject to product and delivery slot availability. Small parcels may be delivered via Royal Mail. Delivery for small items is next working day subject to availability. However, delivery may take up to five working days. For larger pallettised goods (i.e Pianos), delivery may take between 5-7 days. Please contact us for more accurate lead times, unless stated in the item description. 3.1 Our handling time is approximately 1-2 working days. Orders are processed Monday-Friday excluding National Bank Holidays. The carriers govern lead times, consolidating orders based on postal code. This ultimately determines how soon you will receive the item. Deliveries are made Monday - Friday excluding National Bank Holidays. Larger palletised deliveries are made on an all day service usually between the hours of 0800-1900. Unfortunately the carriers do not specify a delivery time. The specialist palletised carriers call our customers to arrange a delivery. Please ensure a valid daytime contact number is supplied at checkout. The carriers telephone number may appear as withheld or as an 0800 telephone number and they do not always leave an answer phone message. Unfortunately we are unable to provide a definitive ETA at time of order or until the carriers contact you. 3.2 The contents of your order and your delivery postcode area will determine which delivery services you will be offered. We do not deliver to Post Office (P.O.) boxes or shipping agent addresses. Delivery will be between the hours of 7am and 6pm; unfortunately we are unable to confirm an accurate time. 3.3 Items delivered to the address provided at time of checkout, or in writing, but returned to us as "refused delivery" or "return to sender" may be chargeable at the cost of returning the item back to us and deducted from the total refund. Charge is subject to delivery service used to deliver the consignment. Customers are liable for additonal postage and packaging costs. 3.4 We will select the most appropriate carrier for your goods. This means your delivery may arrive in more than one batch to ensure your order is transported in the best possible way. 3.5 Whilst every reasonable effort shall be made to keep to any estimated lead time and or delivery date, time of delivery shall not be of the essence and we shall not be liable for any losses, costs, damages or expenses incurred by the customer or any other person or company arising directly or indirectly out of any failure to meet any estimated delivery date. The risk in the goods shall pass from the company to the customer upon delivery of such goods to the customer.